When the first round of T20 world cup is finished, then the number of teams rises to 10 and this is called super 10 groups. 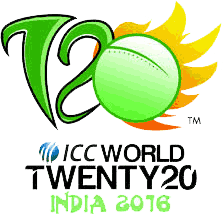 In this group, 8 teams are already selected as the full member of the Twenty20 world cup. Two teams are added from the first round qualifying matches, which will be played among eight teams. The eight full member teams are comprised of Pakistan, England, India, New Zealand, Australia, Sri Lanka, South Africa and West Indies. These ten teams are divided into two groups. All the teams in each group have to play one match against each team in their group. When the points of the teams are decided then top two teams of each group move to the next round of semi final. There these teams play the matches and the winners move to the final stage of T20 world cup 2016. ICC takes great care in selecting the teams for each group and they ensure the pools can be balanced. In the group matches, the winning teams are granted two precious points and the losers are not given with any point. If the match is drawn between two teams, then each side is given one point each. When the first round is completed, then the top teams of the first round will move to the super 10 group. Then ICC will take the initiative to announce the two groups of the teams to play T20 cricket second round. At this time, the two groups are announced and the viewers can find the detailed groups of the teams of the T20 world cup 2016.